Western Red Cedar Decking – Cascadia | International Wood Products, LLC. Cascadia Western Red Cedar Decking is the perfect combination of natural beauty and exceptional quality. Cascadia is a kiln dried 2 & Better appearance grade tight knot cedar product; a natural choice for exterior use. 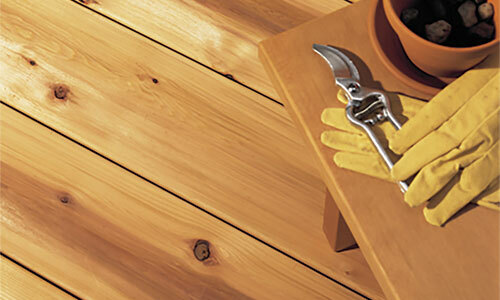 Cedar contains natural oils that act as a preservative to help the wood naturally resist insect attack and decay, and the because it is kiln dried Cascadia has beautiful, ready-to-finish surface. While cedar naturally weathers to an attractive silver-gray patina, it is recommended that a protective finish be applied to maintain its color and prevent surface degradation.